Handsomely designed inside and out and fully renovated eight years ago, this extraordinary Aspen-rustic residence has sweeping 240-degree views across canyons to serene mountainsides. 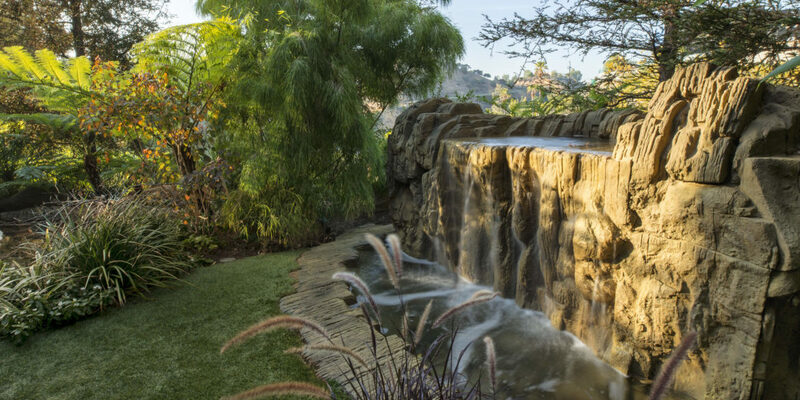 Exquisite landscaping, generous space and interior design by seven-time Emmy winner Melinda Ritz make this a home of tremendous character, beauty, convenience and privacy. 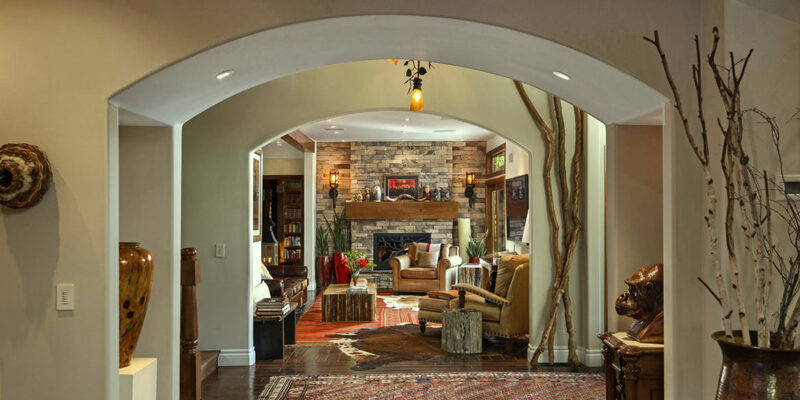 Wide archways, high ceilings, exposed beams and dark-wood floors establish a feeling of substance and style, with large windows opening to tranquil surroundings, majestic light and the soothing sound of four waterfalls. 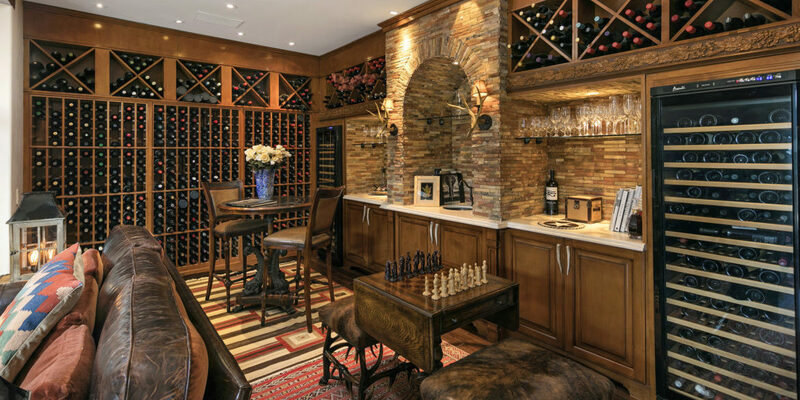 The living room, which opens to the yard and pool, has a fireplace and wine storage for 1,100 bottles, plus a wet bar. 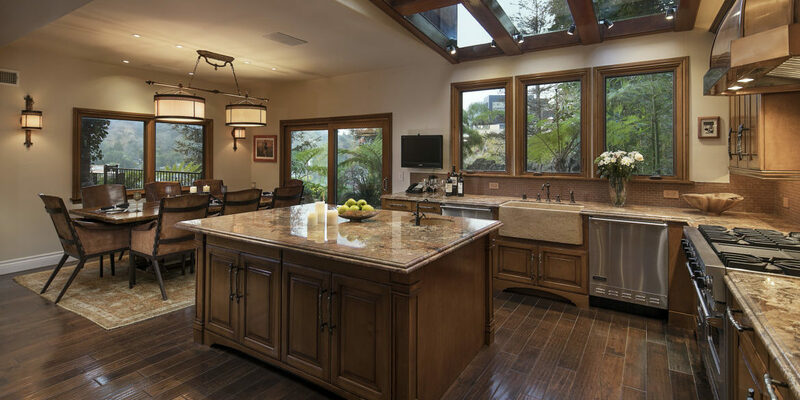 Like a great room, the center-island kitchen is illuminated by a full-ceiling skylight and has a farmhouse sink and adjacent dining area. Also downstairs is a spacious, all-wood library with built-in bookshelves and coffered ceiling, plus an additional office/bedroom/gym. Up a gracious staircase is the master suite and two additional en-suite bedrooms, plus a laundry room. 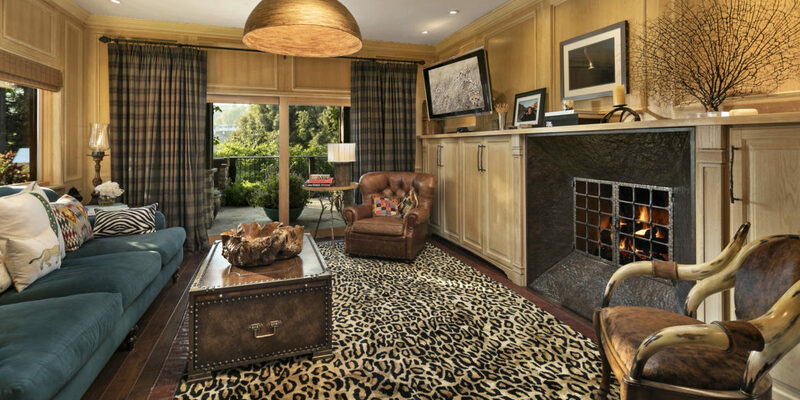 The master, an elegant retreat with a private balcony, has a hand-stamped leather fireplace mantel, and an adjacent sitting room/study/den with a dramatic metalwork fireplace. The master bath has a double-headed steam shower and Jacuzzi tub. 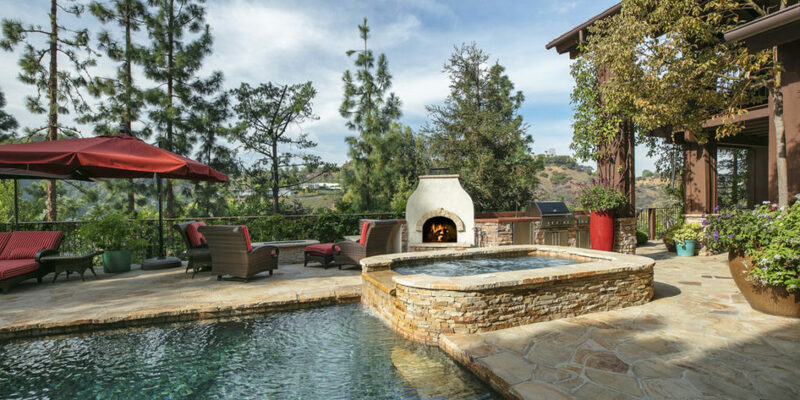 Outside, lush landscaping surrounds a private yard with three waterfalls, salt water pool and Jacuzzi, deck, outdoor oven, grill, and refrigerator, plus a seating area around a fireplace. There is also a fenced dog run with a dog house. Updates include new plumbing and electrical, tankless water heaters, whole house water purifier, three HVAC zones, Lutron-controlled lights and blinds, Nest thermostats, DirecTV, Crestron controls for TV, audio and pool, Kaleidescape home entertainment, Ring security cameras, and a backup gas generator. Every detail realized with flawless taste, this exceptional Beverly Hills property promises a comfortable lifestyle and elegant entertaining.